Toddlers and Tablets - Is It a Bad Thing? To say we love our son is a gross understatement. The love one feels for a child is not only unconditional, but almost indescribable. That’s why making sure how we teach him is on my mind today. Well, to tell the truth, it’s on my mind every day. And especially so when I see how he interacts and utilizes our iPad. 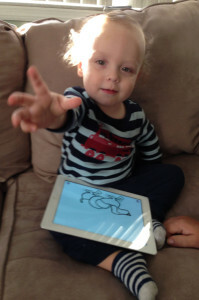 Is an iPad or Tablet Bad for my Toddler? That’s one of the questions I asked when we first found out how much our son loves using his (Mom’s) iPad. My conclusion is that it’s not a bad thing at all. In fact, we’re continually impressed with how his learning is progressing because of his interaction with various children’s apps. There’s an interesting study going on by Jordy Kaufman, director of the BabyLab at Swinburne University in Melbourne, to explore the impact of the use of technology on children aged two to five. BabyLab – note the hi-tech intercapital – is Australia’s first infant cognitive neuroscience laboratory, and Kaufman got the idea for his research while observing his son, then five, playing with an iPod Touch. When my wife first got pregnant, we both got a lot of advice from family, our Doctor, and of course…Google. As new parents we wanted to make sure we were doing all we could to make sure the baby developed as best he could. We played music and talked to him. All while he grew inside the womb. We started reading to him before he was born and continue to read to him every day. With the addition of the iPad learning, it’s sometimes difficult to remember to actually sit down with a book, but I really want to avoid one replacing the other. Everything in Moderation. Even Learning Tools. 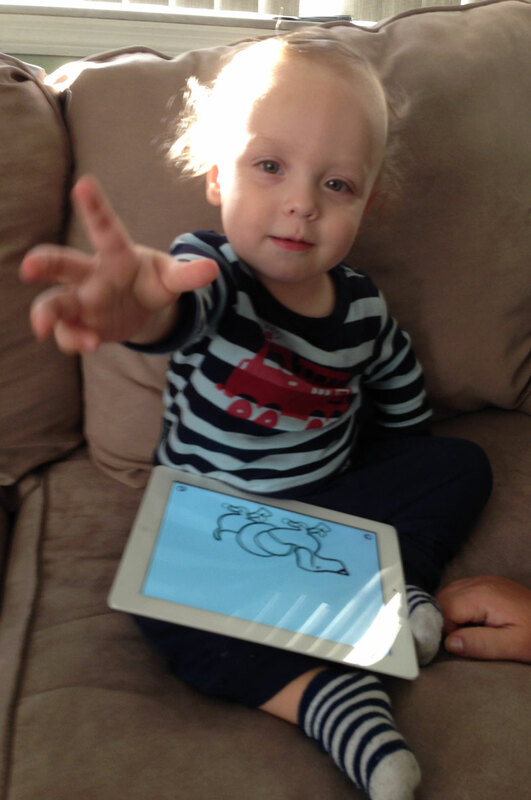 To expand on the above, we do still feel it’s vitally important to continue to make sure that our little guy has a variety of tactile experiences whether he’s reading or playing, so we make a point to limit the time spent with the iPad each day. We’ll do our best to find the balance as he continues to grow and learn. I’d also like to give a big thanks to those people creating some of the awesome children’s apps available to us for a mere $0.99 through the App Store!